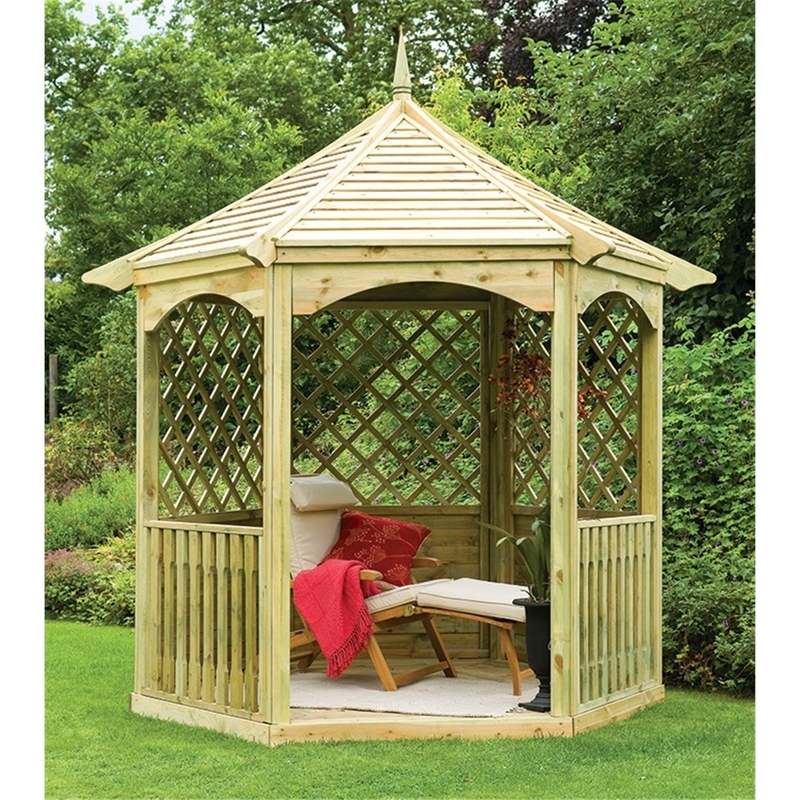 This Gazebo is supported with half back panels which are ideal for climbers and it provides you with a solid timber roof which protects the gazebo from the rain. 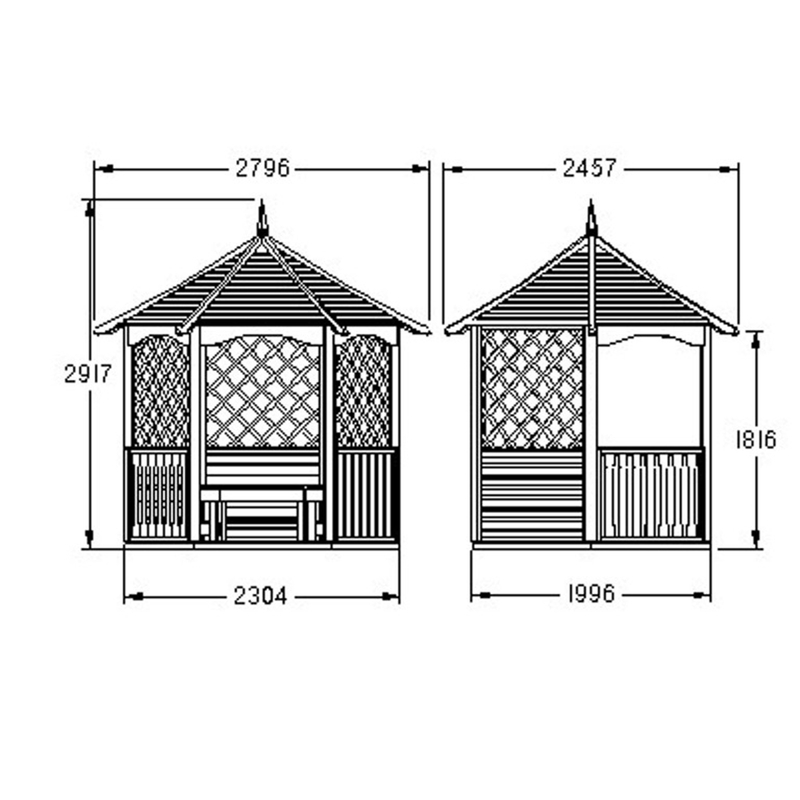 The Elena Gazebo comes supplied with three flat packed timber benches and an integral timber floor, the product is also planed for a smooth finish. The Gazebo will be delivered to you flat packed and comes supplied with all fixings and instructions to help you construct your product.